Car cartoons are vibrant, exciting and educational! In this series, you'll spend an eventful day with Flash The Police Car. Today he celebrates his birthday. But no one gives him gifts. Red The Fire Truck prepared many colorful baloons. But they all were burnt while he was fighting with a fire. Hook The Tow Truck lost a big birthday cake trying to save a race car on a railroad. Luckily Lila the Ambulance saved the day! 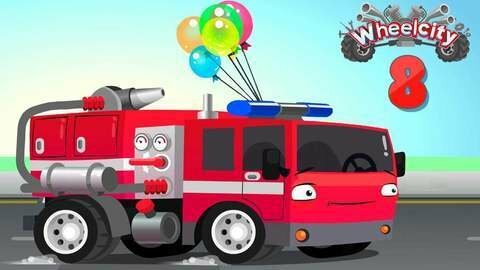 Watch to find out how and then, check out more car videos for preschoolers at SeeZisKids.